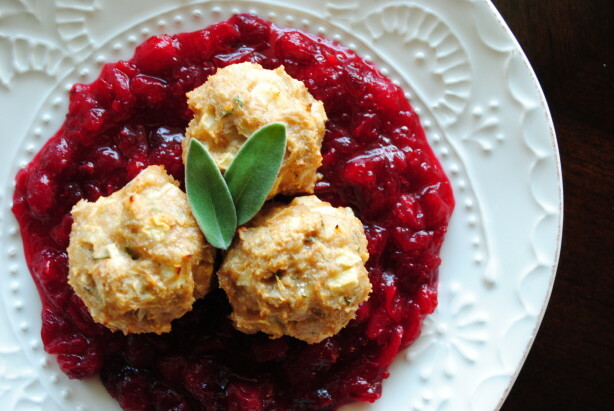 These chicken meatballs with apples and sage are served over fresh cranberry sauce and taste just like Thanksgiving in a bite – – hence the name. They are the perfect prelude to Turkey Day! They’re great to serve guests over this weekend or the night before Thanksgiving. On the other hand, if you want to bypass all of the fuss, you could try serving these meatballs to your Thanksgiving guests. They just might not notice the difference! Scratch that – – serve the turkey on Thanksgiving and these on the days leading up to it. All things leading up to the holidays are my favorite! 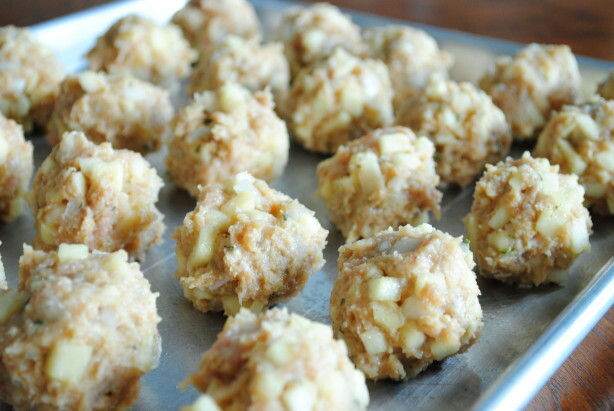 In a large bowl, thoroughly combine all of the meatball ingredients, form into meatballs, and line on a baking sheet. Place in oven, uncovered for 40 minutes, until the chicken is thoroughly cooked and the meatballs are golden brown. 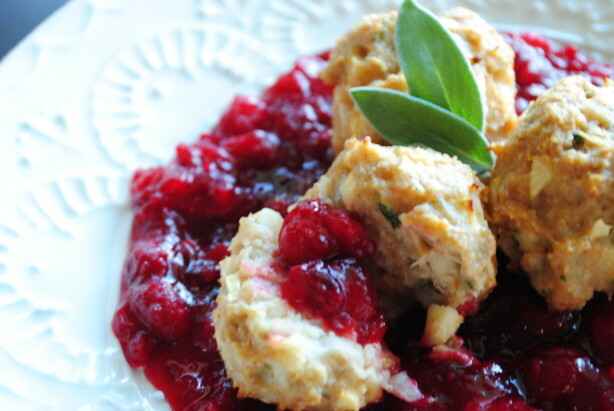 While the meatballs are baking, prepare the cranberry sauce. 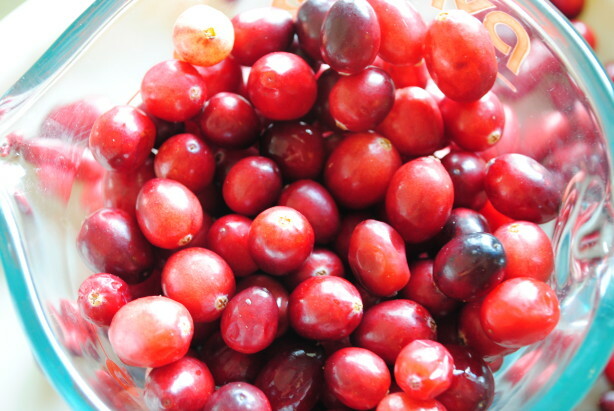 Place the cranberries, water, and sugar in a medium saucepan over medium-low heat. 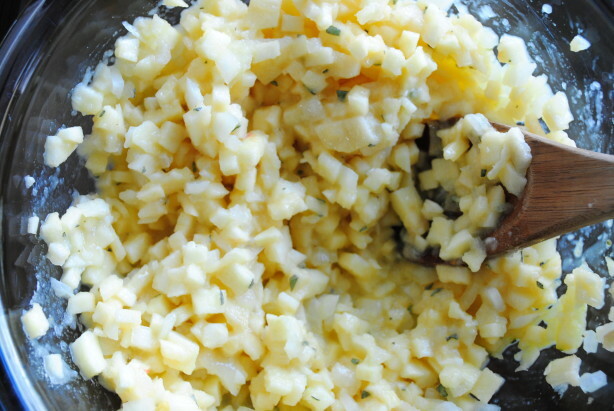 Using a whisk, combine ingredients. Bring to a boil and whisk again. Continue to cook for an additional 10 minutes until the cranberries have burst and the sauce is formed. 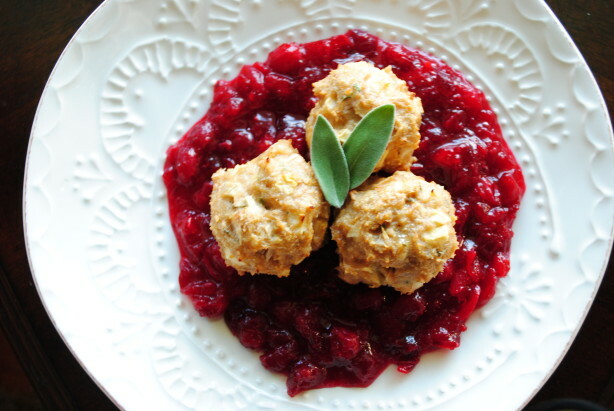 To plate, place desired amount of cranberry sauce on the plate and top with meatballs.